A regional community college has just contacted the marketing rep for the local TV station. “Tell me more,” says the rep.
“Well, we're getting a lot of calls – probably more than we've ever gotten before. We send our information kit to everyone who calls, but they don't become students. We're spending more on printing and postage than ever before, and aren't getting much to show for it. The wrong people. Those would be people who don't buy. The advertising plan didn't account for appealing to the "wrong people." The plan assumed the right people would respond to the ads. Radio stations are accused of bringing the wrong people when 200 listeners show up at Mr. Car Dealer's remote broadcast but don't buy cars. The wrong people come to the grocery store and only buy the items featured in the coupon. And now, you're telling me the wrong people are picking up the phone and asking the college to send them information? Who has so little to do today that he's going to pick up the phone and call an institution of higher learning for information he doesn't need or want? The "wrong people" are common to nearly all businesses. In the on-line world we refer to this as the “bounce rate” - the percentage of people who followed the link to your website and immediately changed their mind and went away. Its funny, but the conventional on-line wisdom doesn't blame the advertising for bringing the wrong people, it INCREASES the advertising to get more people to the site. In both the real world and the virtual world, people are pressed for time. They don't just go wandering around your store to alleviate boredom. They don't enter your web store just to kill time. They don't pick up the phone and call your 800 number out of indifference. They're looking for something specific. They're leaving because they didn't find it - at least not the quality they demand or at a price they're willing to pay. If they thought they'd found it, they'd have bought. Stop blaming the advertising plan. Your advertising isn't bringing the wrong people. Your sales process is failing to convert them into buyers. 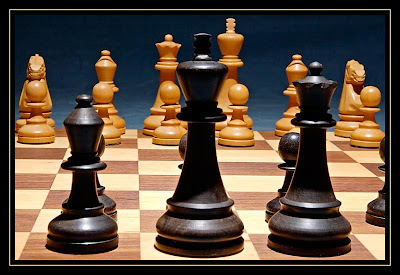 Its time to examine your sales process. Begin by determining what your customers are seeking when they make contact. Then look for any impediment to prevent them from purchasing. Anticipate their questions and answer them in the way that makes them most comfortable buying from you. Do you recognize this process as Persuasion Architecture TM? There's no use blaming your advertising if you have a long list of steady prospects and you're not turning them into customers. It could be your brochures. Maybe it's your salespeople. Either way, the flaw isn't in your advertising. You're losing them in your sales process. How incredibly true Chuck. It's like an ad that gets people's attention but doesn't do anything else to answer the question "what's in it for me?" You have to have a business worth promoting in the first place. If you aren't closing people, figure out why. Teacher, researcher, raconteur, and marketing consultant Chuck McKay works with professional practices and owner-operated businesses. Chuck speaks at companies and schools, as well as meetings of Chambers of Commerce and service organizations. and We Pay The Shipping to Anywhere in the U.S.
Could I Offer You a Free $100 Bill? 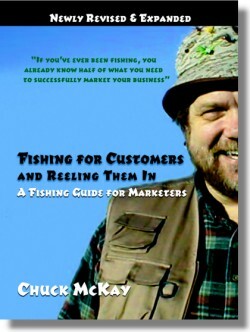 Chuck McKay is available as a guest speaker or seminar presenter. For further information call Wizard of Ads® Headquarters: (800) 425-4769, or e-mail Info@WizardofAds.com.